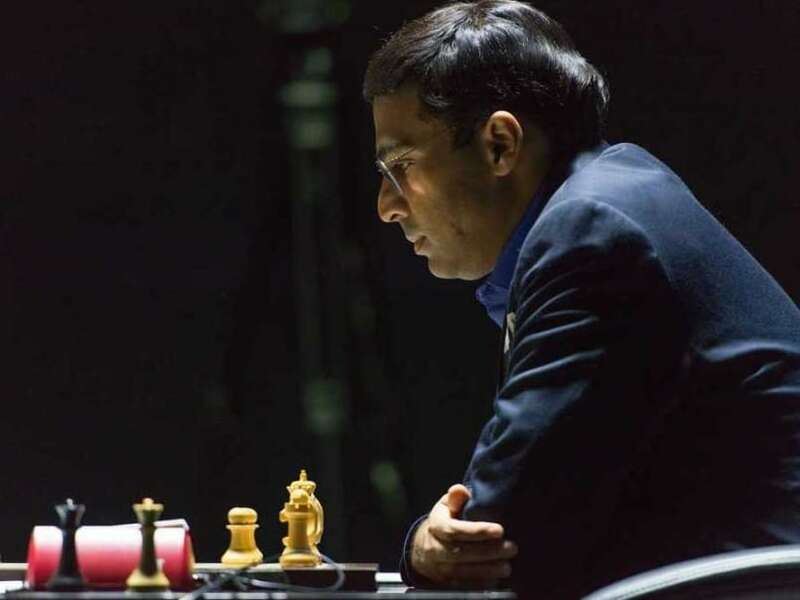 After finishing joint third in the rapid open tournament, Viswanathan Anand showed deep preparation in the first classical game here and this was a good beginning for the Indian ace as he was not bothered at all with the black pieces at London's Olympia Conference Centre. Five-time world champion Viswanathan Anand played out an easy draw as black against Vladimir Kramnik of Russia in the first round of the London Chess Classic here on Thursday. After finishing joint third in the rapid open tournament, Anand showed deep preparation in the first classical game here and this was a good beginning for the Indian ace as he was not bothered at all with the black pieces at London's Olympia Conference Centre. The six-player five-round tournament saw local star Michael Adams emerging as early leader following a hard-earned victory over world number two Fabiano Caruana of Italy. The other game between Hikaru Nakamura of United States and Anish Giri of Holland was a tame draw without much action on the board. With three points under the soccer-like scoring system, Adams enjoys a two point lead over Anand, Kramnik, Nakamura and Giri while Caruana will hope to open his account when he meets Anand in the next round. Anand showed that he had prepared well against former world champion Kramnik. It was a Semi Slav Botwinnik wherein Kramnik went for the most principled variation and high tactics already mentioned in the theoretical books ensued for a long time. Sitting in the main commentary hall, Garry Kasparov was seen analysing this game. "We had this position on board (after Kramnik's 26th move) almost 20 years ago (in analysis) and we thought no one will ever play it like this, black can only draw or lose," said Kasparov while the game was still going on. However, as was clear, Anand was still in his preparation at this point as Kramnik could do no better than reach a level rook and pawns endgame where the draw was a just result after 45 moves. Caruana was a bit unlucky to go down from better position against Adams. The Ruy Lopez opening by Adams as white yielded a favourable position for the Italian when Adams miscalculated and allowed a central break through. Soon, Caruana was on top but a slightly miscued attempt at simplifying the position resulted in wild complexities after Adams sacrificed a Knight on the king side. Caruana was still close to equalising after Adams missed an easy victory but this was certainly not the Italian's day as further mistakes led to a lost queen and pawns endgame wherein the English did not falter a second time. Nakamura and Giri played a game of shadow boxing with neither able to impress the other out of a Ruy Lopez Berlin. The players repeated moves when it was evident that it was just equal. Results Round 1: Vladimir Kramnik (Rus) drew with V Anand (Ind); Michael Adams (Eng) beat Fabiano Caruana (Ita); Hikaru Nakamura (Usa) drew with Anish Giri (Ned). 1. c4 e6 2. Nc3 d5 3. d4 c6 4. Nf3 Nf6 5. Bg5 dxc4 6. e4 b5 7. e5 h6 8. Bh4 g5 9. Nxg5 hxg5 10. Bxg5 Nbd7 11. g3 Bb7 12. Bg2 Qb6 13. exf6 O-O-O 14. O-O c5 15. d5 b4 16. Na4 Qb5 17. a3 Nb8 18. axb4 cxb4 19. Qg4 Bxd5 20. Rfc1 Nc6 21. Bxd5 Rxd5 22. Rxc4 Rxg5 23. Qd4 Kb8 24. Rxc6 Rxg3+ 25. fxg3 Qxc6 26. Rd1 Qc7 27. b3 Kc8 28. Qe4 Kb8 29. Qd4 Kc8 30. Qd3 Bc5+ 31. Nxc5 Qxc5+ 32. Kf1 Qc3 33. Qxc3+ bxc3 34. h4 e5 35. Ke2 c2 36. Rc1 Kd7 37. Rxc2 Ke6 38. Rc6+ Kf5 39. Kf3 e4+ 40. Ke3 Rb8 41. Rc5+ Kxf6 42. Kxe4 Rxb3 43. Ra5 Rxg3 44. Kf4 Rg1 45. Rxa7 Kg7 game drawn.